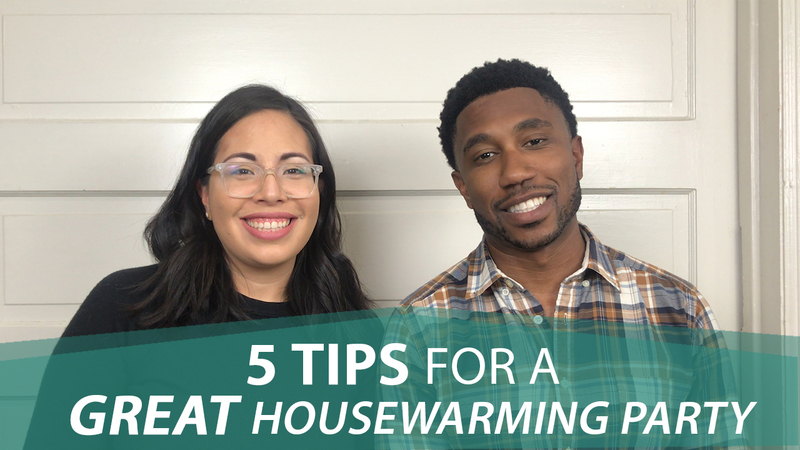 Once you’ve bought a new home, there’s only one way to celebrate—a housewarming party! Here are five tips to enhance your celebration. So you just bought your new home, and now you’re looking for something exciting to do—something to get all your friends and family together to celebrate. That can only mean one thing: Party! More specifically, it means a housewarming party. We love these types of events, so we want to provide you with our top five tips on how to make your housewarming party an awesome experience. 1. Have the party about two months after your closing date. This way, it’s still new, but it also gives you enough time to move in and get comfortable. It also gives you time to decide on the decorations and food. 2. Send out invitations about two weeks prior. We personally like to use the website Evite to send out invitations, but paper invitations sent through the mail also work. With Evite, everyone gets the invitation immediately, and it’s easier to track who is coming so that you can structure the night based on your guests. 3. Have food and drinks. We recommend having the event catered, if possible. If you choose to do that, make sure to talk to the catering company at least a week before the event. This way, it gives your guests enough time to RSVP to the event and won’t leave you scrambling around to get enough food and drink for everyone. Finger foods such as wings and sliders are delicious, easy options to consider. 4. Have a designated time for home tours. You don’t want to give a tour to every single person as they walk in the door, so set up certain times throughout the evening to take guests around your home so that you’re not leaving your guests alone. 5. Take lots of photos. This is a great time to capture the moment, and afterward, you can send out these photos to your guests so that they can remember the great time you had together. You can either designate a guest to take photos or hire a photographer. We can recommend photographers who produce great work at affordable prices. If you have any questions, need recommendations, or have great party tips yourself, please reach out to us. We’d love to see what we can do to make your housewarming party the best it can be.